The city of Paris, known for its much acclaimed bike sharing program Velib, is about to roll out yet another urban transport sharing program: Autolib. Autolib will allow urban inhabitants to get from Point A to Point B in the capital by picking up a car at one location and dropping it off at another. But these just aren’t your typical petrol-fuelled automobiles. Instead, Autolib will feature thousands of eco-friendly electric “Bluecars.” Despite referencing the color blue in their name, these blue cars will be made out of unpainted aluminum, and will be spacious enough to seat four people. 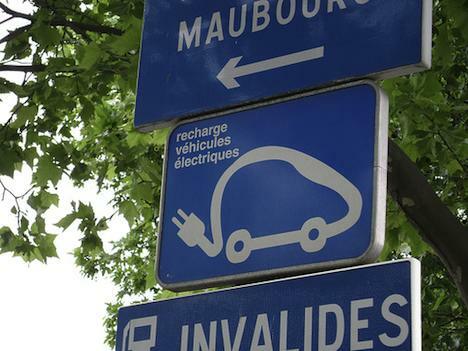 Since they are fully electric, the cars are easy to maintain and unnervingly quiet as they zip around Paris’ streets at a maximum speed of 81 mph. Eventually, up to 3000 Bluecars will be available at over 800 docking stations on streets, in parking garages, and at 46 of Paris’ suburbs. Each car will be equipped with a GPS system to aid in navigation and to help track the vehicles. In the event of an accident, the driver can hit a blue button to call for help. In order to be illegible to use a Bluecar, one must first register for the Autolib program, and provide a driver’s license and credit card. One can choose a daily, weekly, or annual membership, ranging from $13 – $192. The new Autolib scheme was initiated by Paris’ Socialist mayor, Bertrand Delanoë, who was also the brainchild behind the much celebrated Velib program. City officials are optimistic about the new programming, citing a reduction in greenhouse gas emissions and a potential revolution in urban transportation. If the program is a success, it may spread to other cities around the world. How do you feel about the new Autolib program? Do you think it will revolutionize urban transportation? Do you think it’s a good idea for big cities?